Above was this mornings surface weather map and as you can see there is now snow along the Shenandoah Valley where I came down I81 to I40 yesterday. 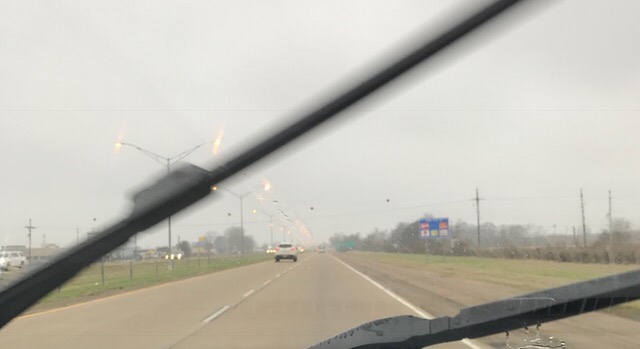 I woke at 4:00 central time this morning in MS and headed west on I20 knowing that I will leave some snow and freezing rain behind in AL and MS as the low pressure builds in the golf and combines with that cold air that settled in here. It was 36 overnight. 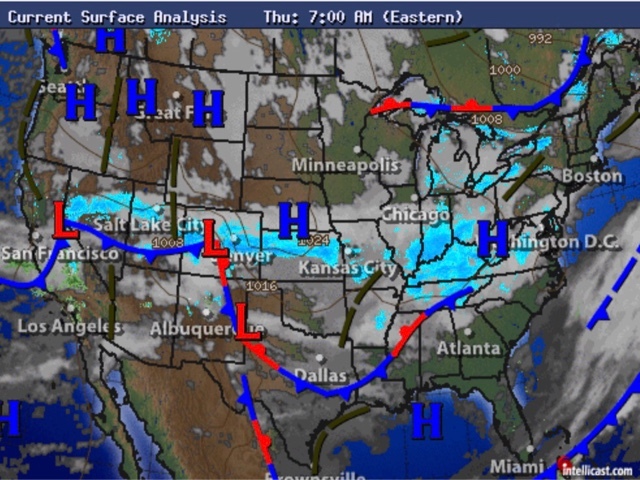 I didn't figure on the light rain and drizzle I hit this am, but when I checked the weather map there was a dotted black line indicating a disturbance that created it. The rain stopped just about the TX line. 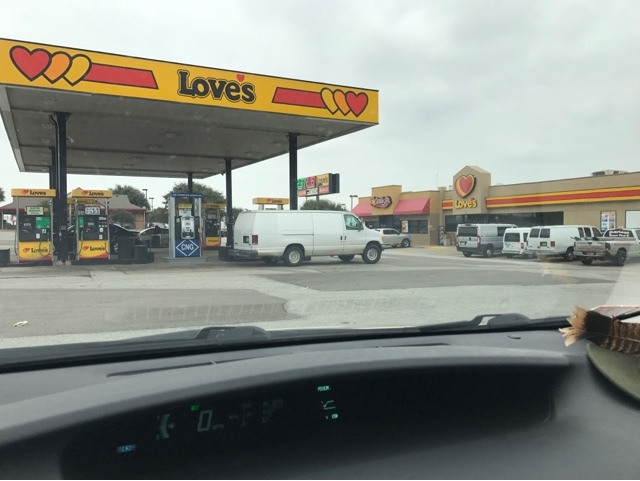 Loves is another truck stop I visit for gas and unsweetened iced tea. Those that follow me know that I can drive and drive with very few stops. Today I drove about 830 miles to western Texas and I was treated to this beautiful sunset. 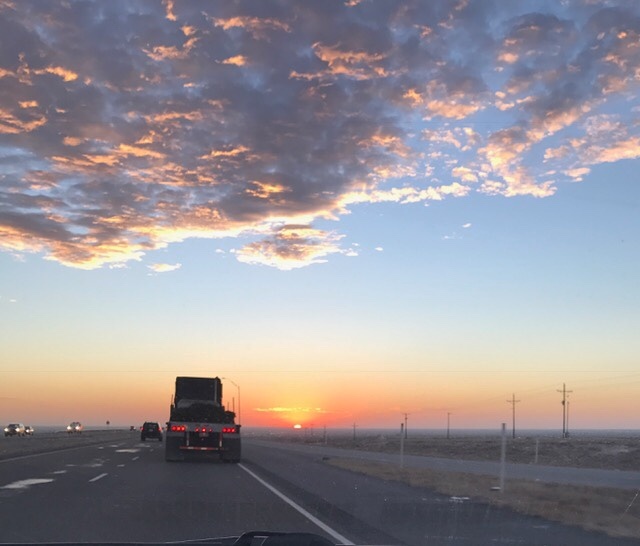 The sunset indicates a good weather day for my final leg to Tucson, where I will spend a couple days getting ready for my last drive to Quartzsite for the RTR. Just north of here there is snow and I'm glad it it is there and I'm here. While in Tucson I will buy my fresh food and organize what I tossed in the Prius at the last minute as well as get some exercise in from days of driving.